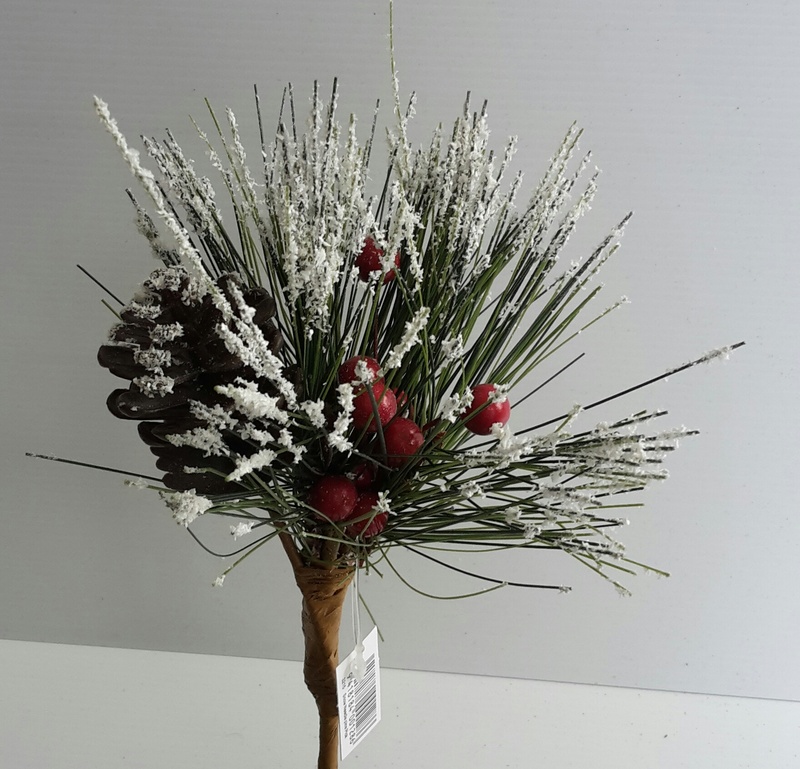 Snow Needle Pine Pick with pine cone and tiny red berries. Overall length of the pick is approx. 21 cms Approx. diameter is 14-15cm.